woman of the past. 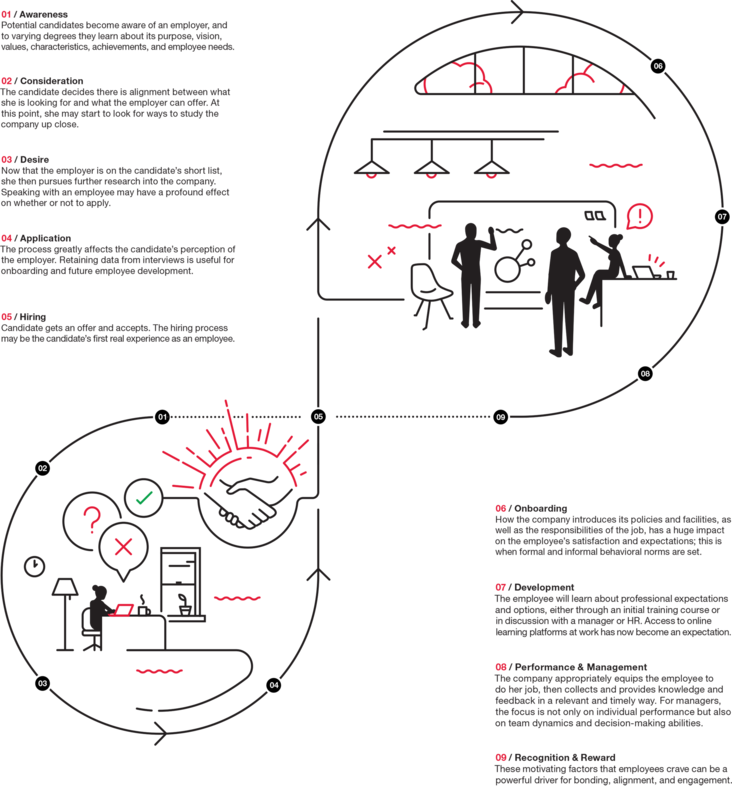 To help organisations adapt to changes in the workplace and shifts in employee expectations, R/GA developed the Candidate/Employee Experience Loop to demonstrate the optimal employee journey, from researching potential employers to offboarding from the company. This fluid cycle creates a mutually beneficial relationship between employer and employee, past, present, and future.